Three years ago, Corinne Weeks was a sophomore at Ohio's Milford High School. She played on the water polo team. She chatted with friends in the hallway. By all accounts, she was a normal teenager. But there was one problem: Her classes simply weren't challenging enough for her -- especially in math. So, Corinne's parents made the difficult decision to send their 14-year-old daughter several states away and enroll her in the Program for the Exceptionally Gifted at Mary Baldwin University. Essentially, they let her drop out of high school and, instead, enroll directly in college. "By third grade, I was aware that she could do more than was being asked of her," Corinne's mother, Terri Weeks, told CBS News. "I proposed to the principal that she skip a year of math. He reviewed her test scores and recommended that she skip fourth grade entirely. By junior high, it was clear she could do more, so she skipped a grade in math only. She was bright and a good student, but she is quiet and easy to underestimate. Each time we did a skip, it challenged her for a while." Terri says she heard about the Program for the Exceptionally Gifted when Corinne was in junior high, but that her daughter wasn't interested at that point. When Corinne reached her sophomore year in high school, however, it became evident that she could handle much more and the family decided to go visit Mary Baldwin. Now, the 17-year-old prodigy is set to graduate from the women's college at MBU with a 4.0 GPA, a major in Applied Mathematics and minors in both Chemistry and Physics. All she has left to do is finish up her senior thesis on the use of the diffusion equation in chemical engineering. Well, that and one other small task. Corinne Weeks now has to choose between the nine Ph.D. programs for chemical engineering that have offered her admission with a combined total of $2.3 million in scholarships and housing stipends. And they're not just any schools. The universities vying for Corinne's attendance are some of the top chemical engineering programs in the country: Stanford, Princeton, University of Texas, Cornell, Michigan State, Case Western Reserve, University of Virginia, University of Illinois, and Purdue (her parents' alma mater). "As a matter of fact, Corinne is visiting Cornell right now," explained Terri Weeks. "She's been visiting grad schools for about the last six weeks. She has been leaning toward Stanford, but she wanted to explore Cornell. She will make a final decision in the next week." Whichever school she chooses, her family certainly has a lot to be proud of... and, as it turns out, a lot to relate to. Corinne's two other siblings are exceptionally gifted in math as well. Her 15-year-old sister, Camille, is also now majoring in math at MBU. 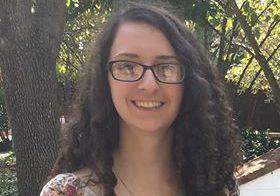 And her older brother, Connor, is double majoring in math and computer science at Knox College. In fact, Terri Weeks notes that when her kids were growing up, her son used to actually enjoy teaching math to his sisters. Quite the equation for success.